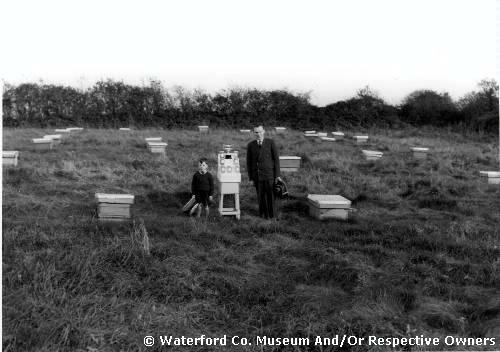 Let your children be captivated by the story of the life of a honey bee as told by local Primary School Teacher, Darren Moynihan, of the well known Moynihan bee-keeping family. Explore a real bee hive, examine a bee keeper's suit and taste some wonderful local honey. Come and see the cooking implements used long ago - learn about the Bastable Pot, Griddle, Skillet Pot, Butter Pot, Butter Pats, Butter Churn, and many more. This talk and display will take place in Waterford County Museum on Saturday 17 April from 12 - 2pm. Admission is Free.